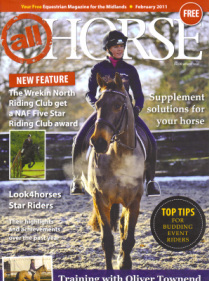 Front cover of All Horse Magazine February 2011. 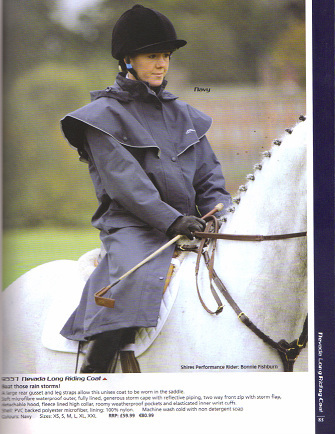 On this page I have posted some cuttings out of magazines and papers that I have appeared in. 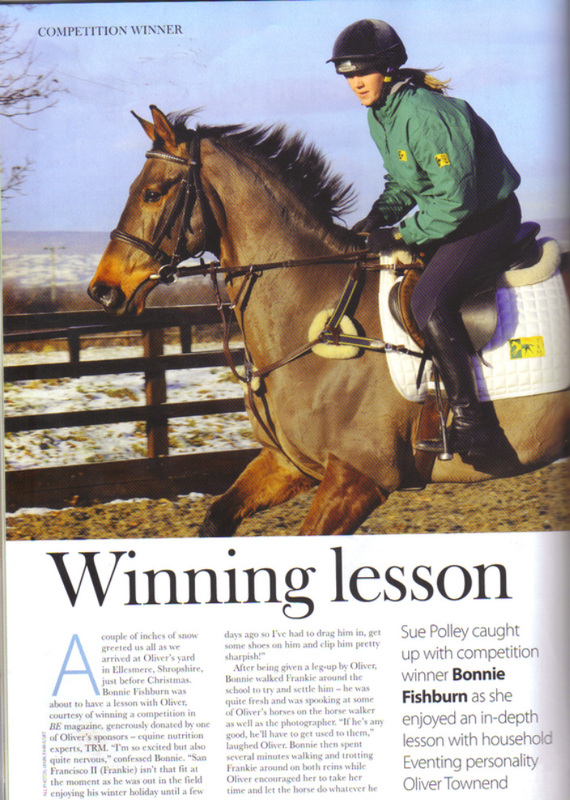 Including the diary updates I wrote for All Horse magazine for a year in 2010. Front cover of Rider Magazine Autumn / Winter 2012. 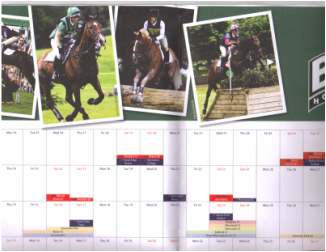 How cool to make it onto the official British Eventing Calender for 2013. 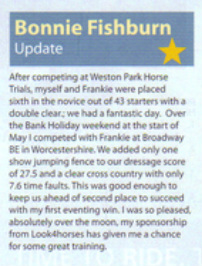 It will be taking pride of place in my tackroom once I've showed Frankie he's famous. 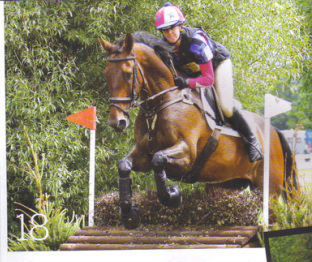 Its a super picture taken by Tim Wilkinson at Catton Park in the Intermediate. 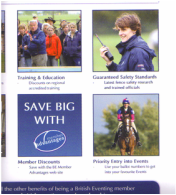 I spotted Florence and I in the BE Rule book for 2013. 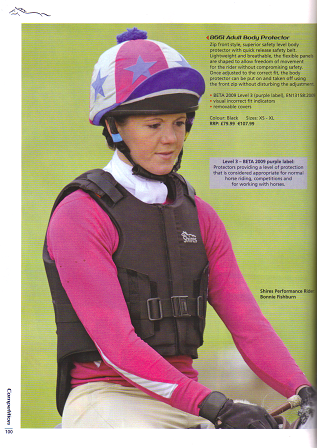 Its just a little picture on the back page but every little picture counts!!! 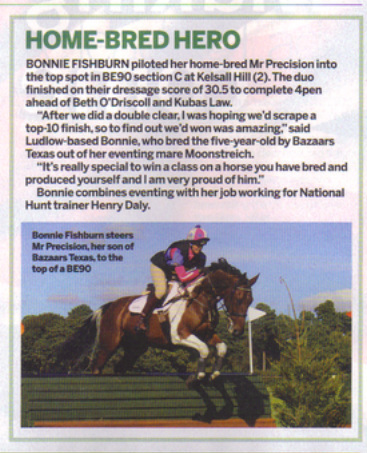 Eventing magazine were keen to find out more when I mentioned that my homebred 5 year old, that had just won a BE90 section at Kelsall Hill, competed barefoot. 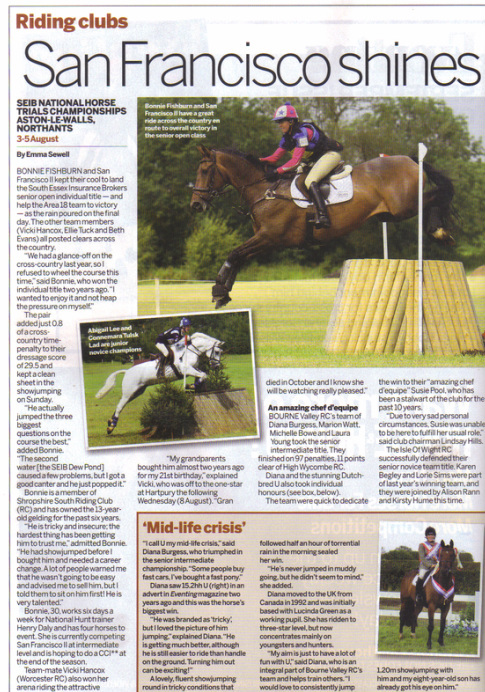 Percy made it into the Horse & Hound after only his 3rd ever BE event. 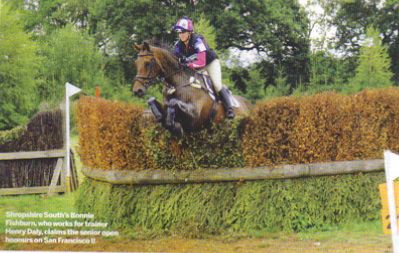 This was after winning a BE90 section at Kelsall Hill. 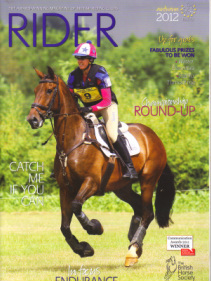 How amazing to make it on to the front cover after winning the BRC Open Horse Trials National Championships for the second time. 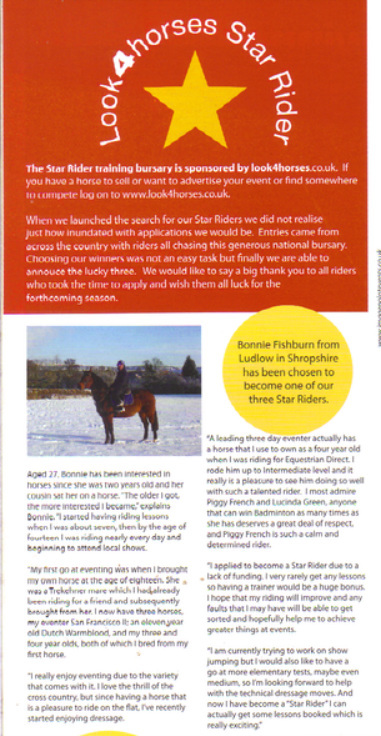 This was a letter I wrote to Rider magazine that got published. 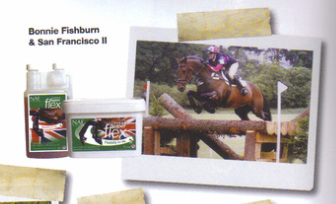 This was the article published about San Francisco II after winning the BRC Open Horse Trials National Championships. I love the head line!!! 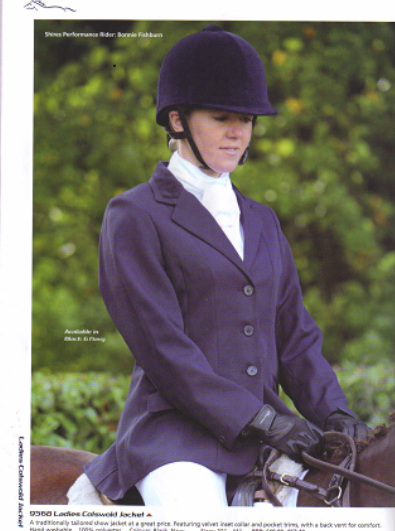 Here are some pictures out of the catalogue, where I am modelling some of the Shires Equestrian Products. 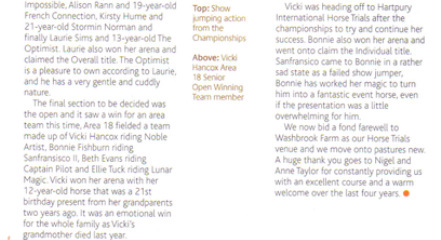 This article was put on the Baileys Horse Feed website in June 2011, after I was placed 16th at Houghton International Horse Trials. 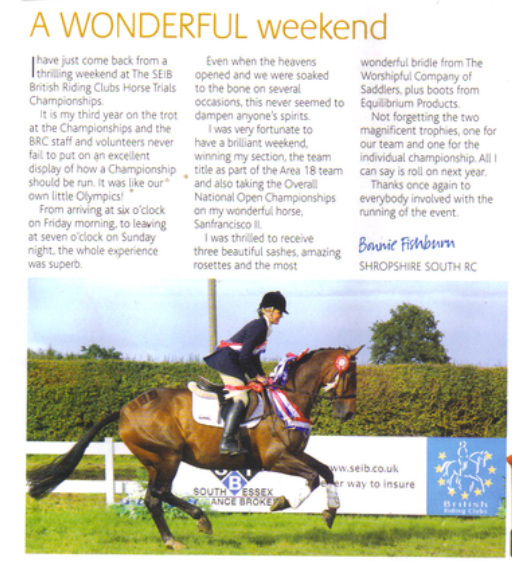 Frankie was used in an advert for NAF Superflex in August 2010, after winning the British Riding Clubs Open National Horse Trials Championships. 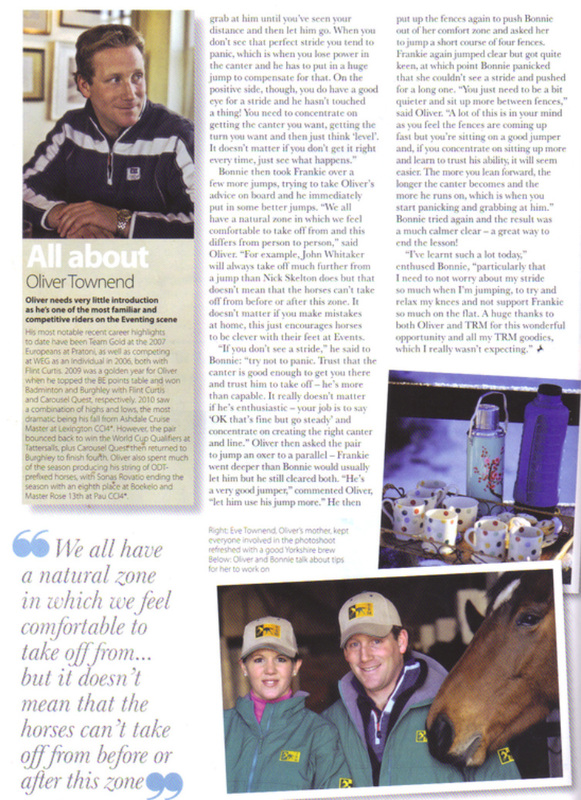 After winning a competition in a previous British Eventing magazine, I was extremely fortunate to spend a day with Oliver Townend, at his yard in Ellesmere. 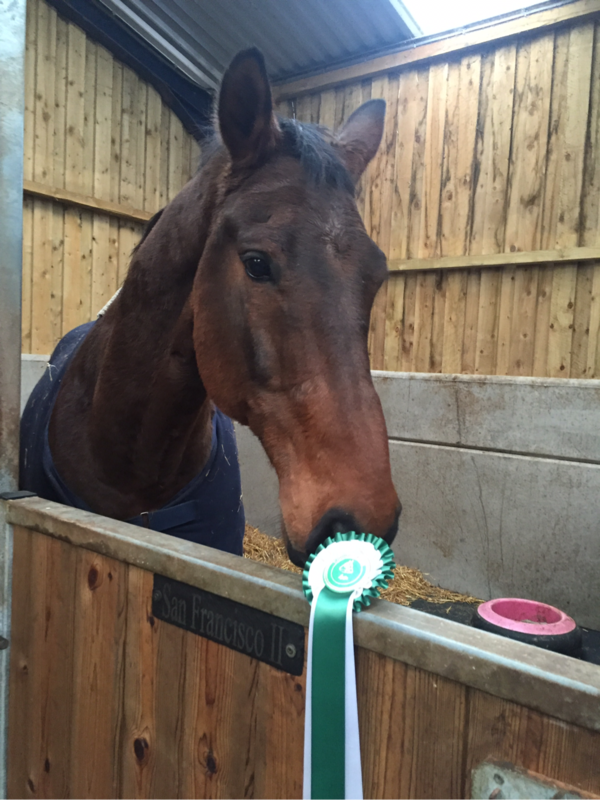 I spent the morning having a flat work lesson on Frankie, followed by a jumping lesson. We then went out for a lovely meal in a local pub. 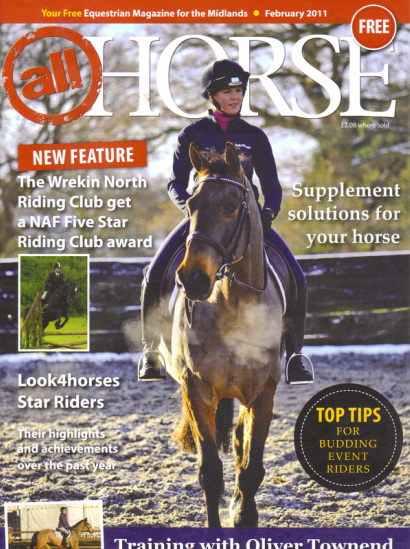 This was sponsored by one of Oliver's sponsors, TRM, who provided me with a fabulous hamper of their products and rugs, clothing and saddle pads. It was an amazing day. 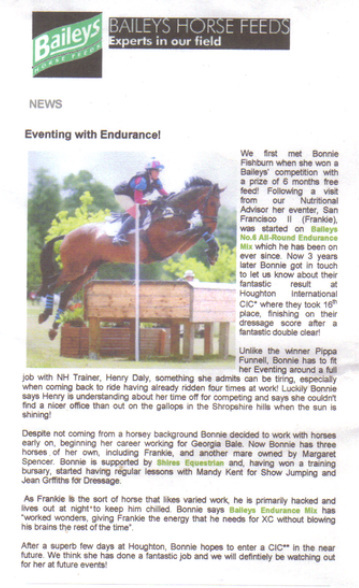 Afterwards British Eventing Magazine published a four page article. 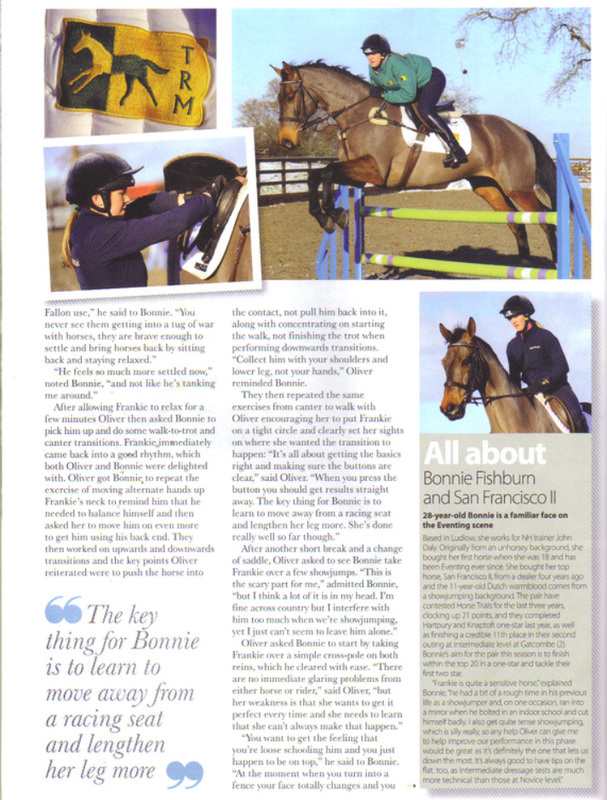 Here is the article out of the Rider magazine after I won the 2010 British Riding Clubs Open National Championship . 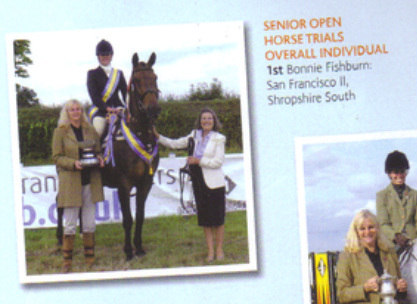 This is the article that appeared inHorse&Hound when I won the British Riding Club Open Horse Trials National Championships in 2010. 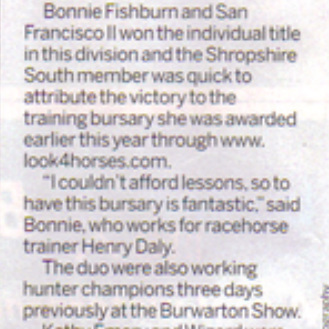 I won a training bursary with Look 4 Horses in 2010. 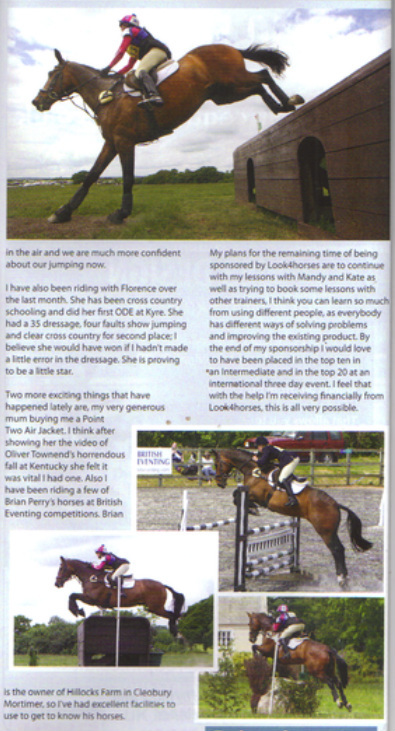 And every month I had to write an article about the training I'd been having and the competitions I'd been to. 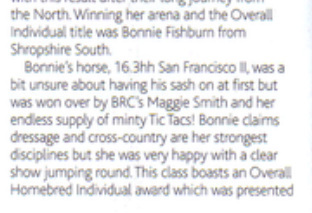 The articles would appear in All Horse magazine and the sister magazines around the country.Below are the articles I wrote for that year.